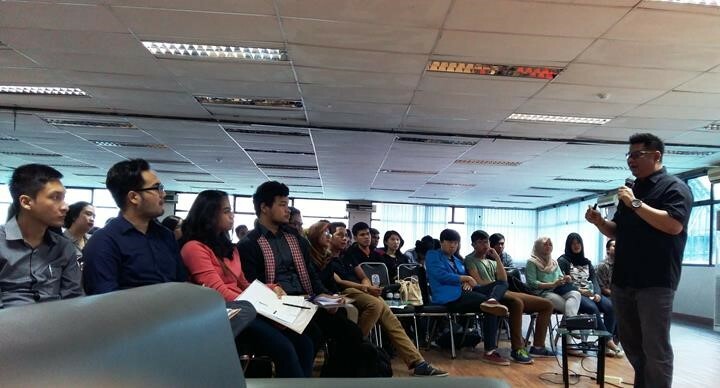 Tuesday (17/5) Desi, along with Gabriel Montadaro, Chief Marketing Officer of PT Sinarmas Consumer Products—one business unit of PT SMART Tbk—shared their experiences in front of around 100 President University (PresUniv) students in the auditorium of Charles Himawan, PresUniv Campus in Kota Jababeka, Cikarang Baru, Bekasi. The event theme Employer Goes to Campus with Sinarmas Consumer Products was organized by Internship and Career Center (ICC) and opened by Dr. Josep Ginting, Vice Rector of Academic, PresUniv. Many things were shared by Desi and Gabriel. In the first session, for example, Gabriel explained so detailed about the Sinarmas Group and the businesses they manage. Then, he also explained the background of establishment of the Sinarmas Consumer Products and plans for future business. 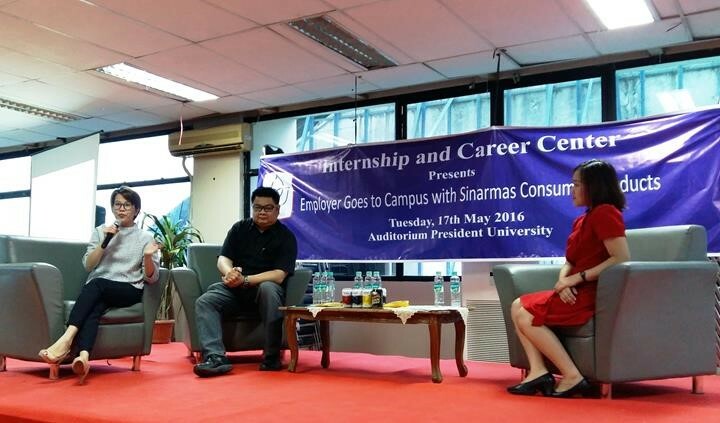 Desi Gunawan (left) and Gabriel (center) in the event on Employer Goes to Campus with Sinarmas Consumer Products. At the next session Desi explained her tips for success working at Sinarmas Group, one of the largest conglomerates in Indonesia. She also revealed a number of projects that will be a challenge for those who are interested to join the Sinarmas Group. "We have an acceleration project that gives the opportunity to anyone who is able and has the competence to become managers within 18 months," she said. There are many other projects that Desi described. Very challenging!